Provide comfort for the family of Lela Coleman with a meaningful gesture of sympathy. Lela Mae Coleman, 86, residing at Colonial Place of Elkins passed away on Monday, February 4, 2019 in Davis Memorial Hospital of Elkins following a brief illness. She was born in Weston on August 15, 1932: daughter of the late Robert Donaldson and Cora (Hefner) Donaldson. She was preceded in death by her husband, Chester Coleman in September of 2016. Mrs. Coleman is survived by three daughters: Connie Sellers of Sandy Ridge, NC, Joyce Helmick and Vicki Horner both of Weston, one son: Denny Guy of Weston, two step children: Denise Hiser of Pennsylvania and Chet Coleman, Jr. of Florida, six grandchildren: Sarah Nix, Tonya (Rob) Kittle, Stephen Helmick , Josie (Larry J.) Bush, Thomas (Katie) Guy and Phillip (Shannon) Ross and 10 great grandchildren. She is also survived by one ½ sister: Leoma Fallon of Weston and several nieces and nephews. In addition to her parents and husband Chester, Lela was preceded in death by two brothers: Danny and Billy Donaldson, one sister: Lula Landreth and one ½ brother: Pee Wee Donaldson. Mrs. Coleman was a psychiatric aide at Weston State Hospital. While in Florida, she could do a word search puzzle book in a day and she loved watching her movies on Lifetime Channel. She also loved working in her flowers. Lela’s wish for cremation has been honored and family and friends will be received at the Hardman-Paletti Funeral Home 730 N. Main Avenue Weston on Friday, February 8, 2019 from 11 a.m. until 1 p.m. for fellowship time. On-line condolences and life stories in memory of Lela may be expressed at hardman-palettifuneralhome.com. Hardman-Paletti Funeral Home of Weston is honored and privileged to serve the family of Lela Mae Coleman. 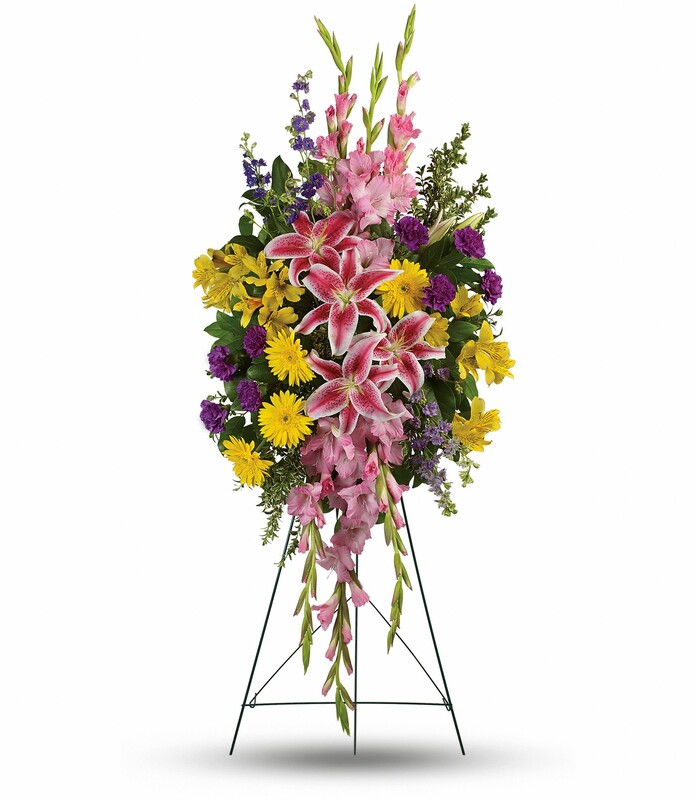 To send flowers in memory of Lela Mae Coleman (Donaldson), please visit our Heartfelt Sympathies Store. Chet and Janet, Denise and Todd and families sent flowers to the family of Lela Mae Coleman (Donaldson). With loving memories of "Lela Coleman", Our thoughts and prayers are with you. Chet and Janet, Denise and Todd and families purchased flowers for the family of Lela Coleman. So very sorry for your loss. My condolences to your family. Lord wrap your arms around this family and give them strength and give them comfort. God Bless. So sorry for your loss Tonya...you look so much like her...so glad you had her for so many years.